Rhode Island Department of Transportation (RIDOT) is reconfiguring the Pell Bridge Interchange. The following pages give a brief history along with pertinent information about the environmental assessment (EA) and public outreach. 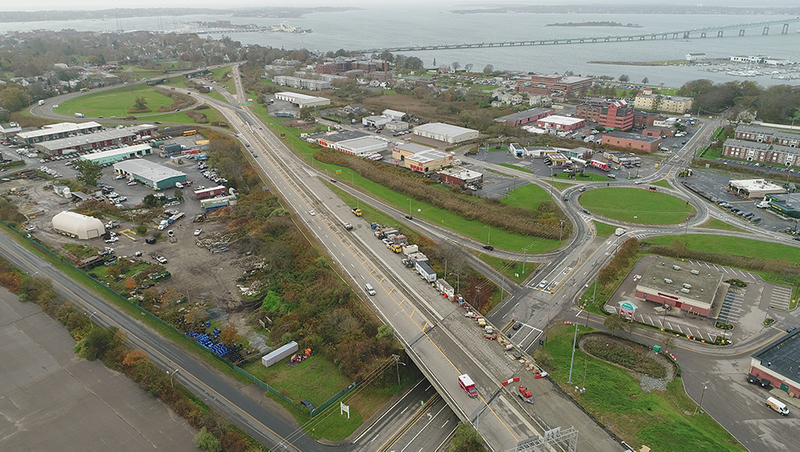 March 2019 Update - The Rhode Island Department of Transportation (RIDOT) continues to work closely with the Federal Highway Administration (FHWA) to develop the draft Environmental Assessment (EA) for the project. Once approval is given, the draft EA will be posted online with hard copies available at various locations in the community. RIDOT will issue a Notice of Availability to alert the public that the document is available for review and a 30-day comment period will follow to give an opportunity to provide input on the project. We appreciate all of the feedback and input on the project to date and stay tuned for further updates.